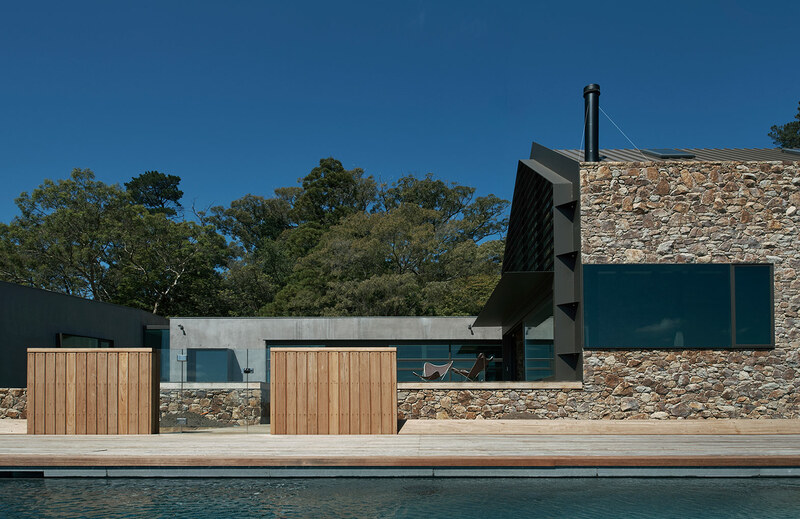 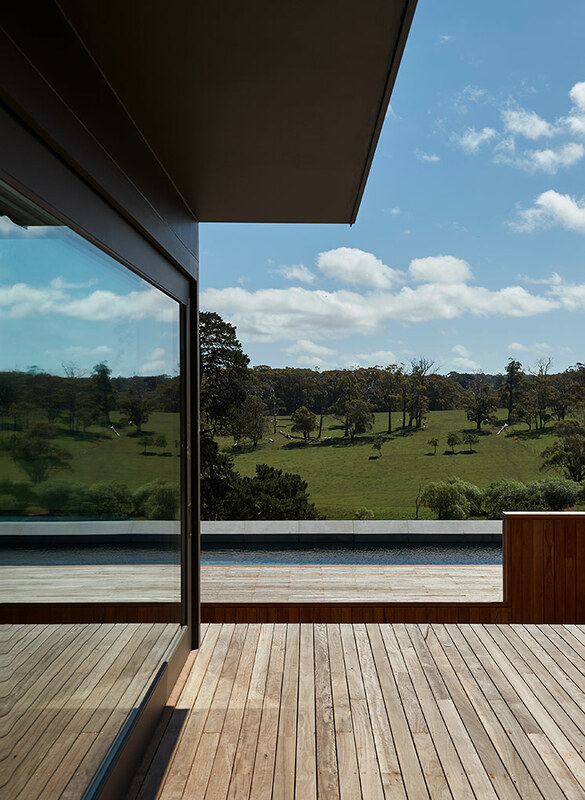 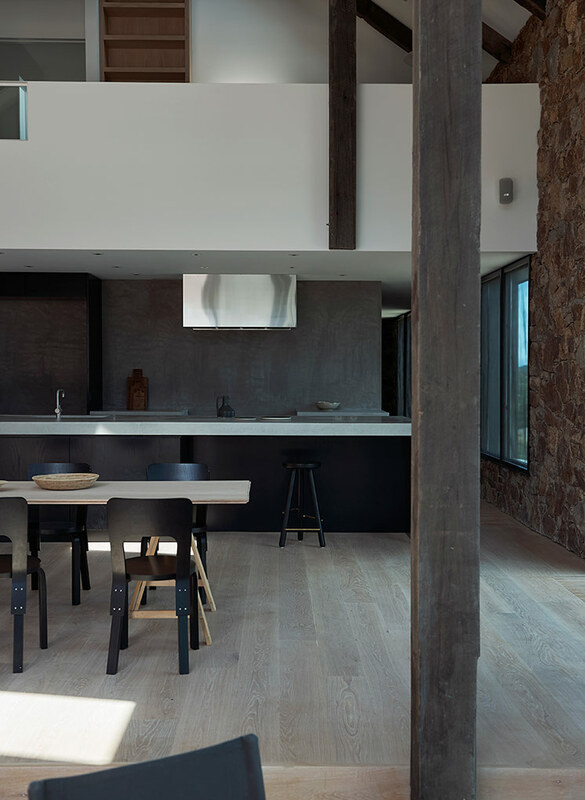 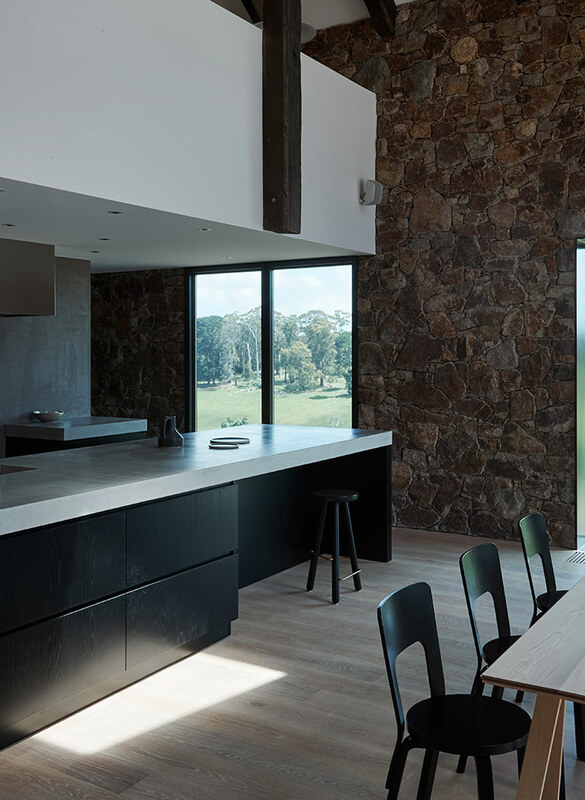 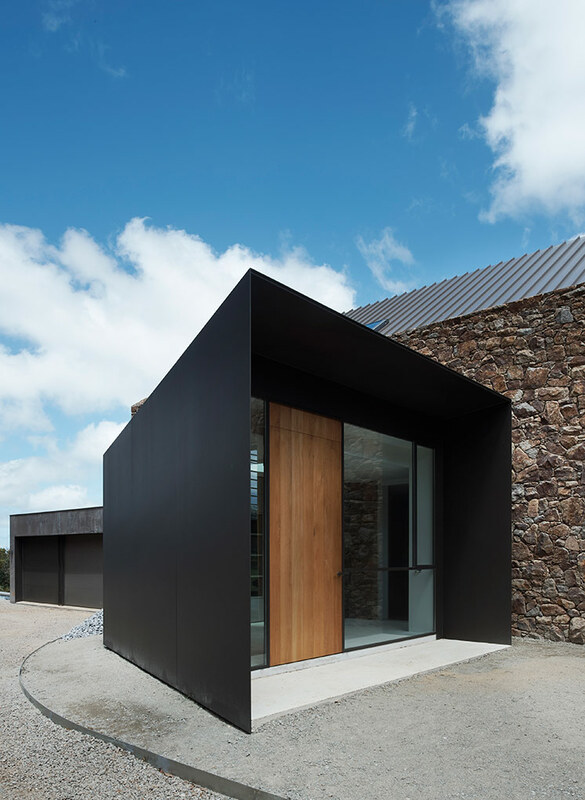 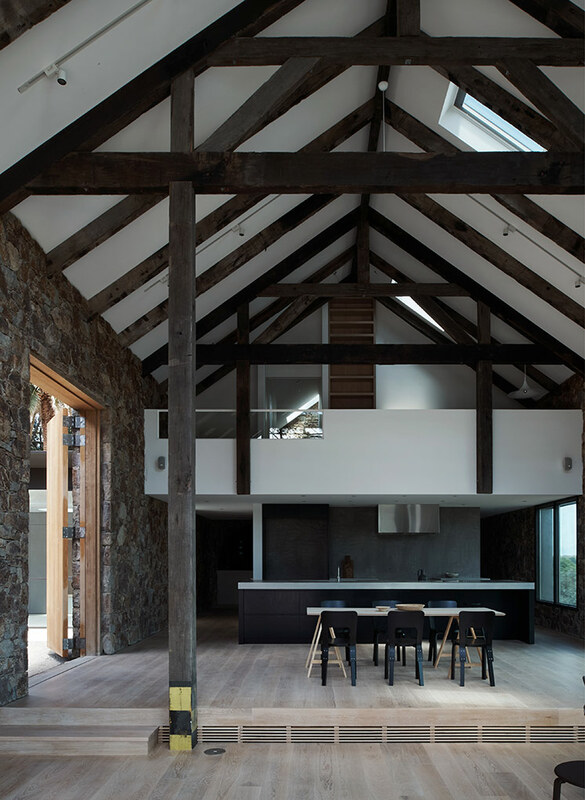 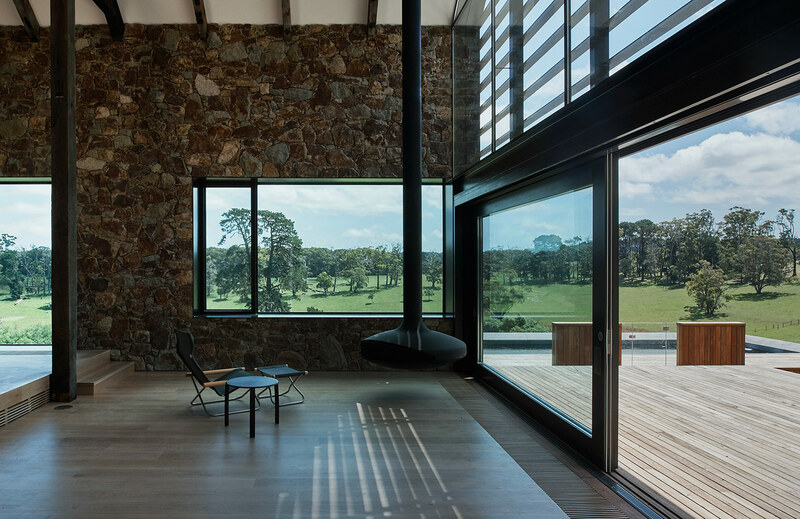 Built for a young family making a change from the city to a semi-rural life, one hour from Melbourne on the Mornington Peninsula, this house is a study in the use of stone rubble as an energy-efficient building material. 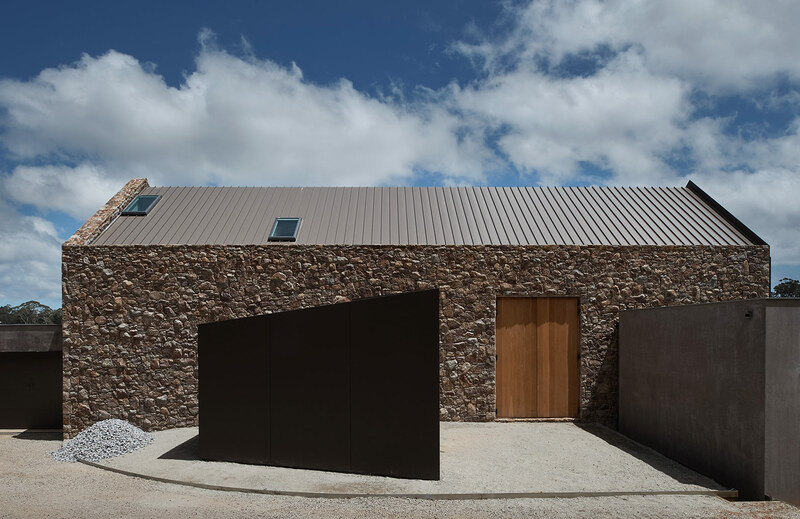 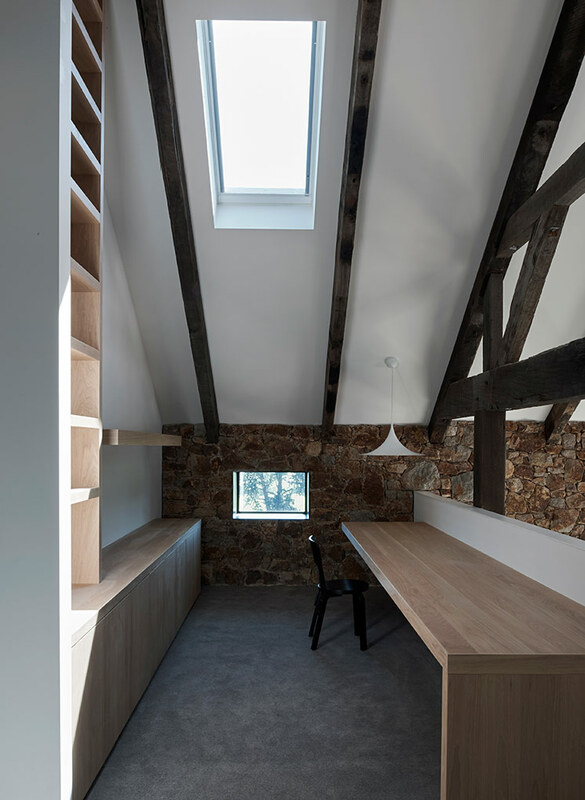 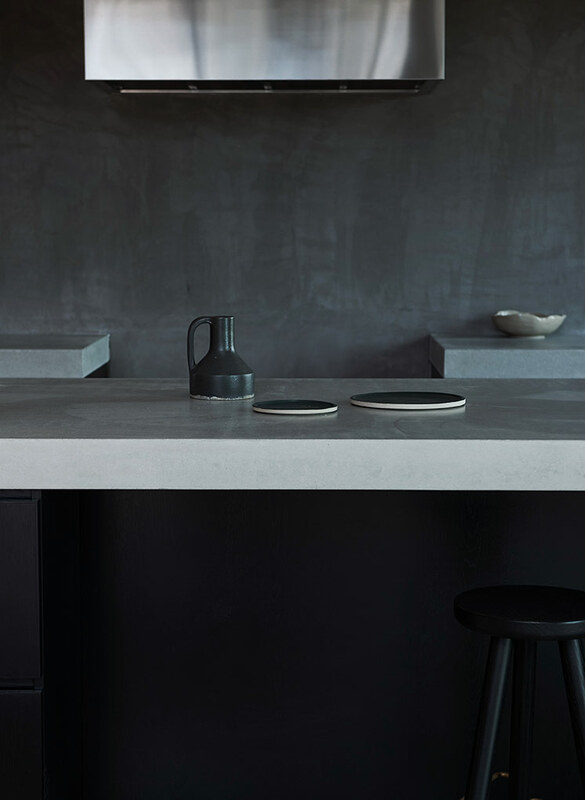 Granite was sourced from Hillview Quarries, only 7 kilometres from the site and laid in a ‘random-rubble dry-stack’ pattern, wasting very little material. 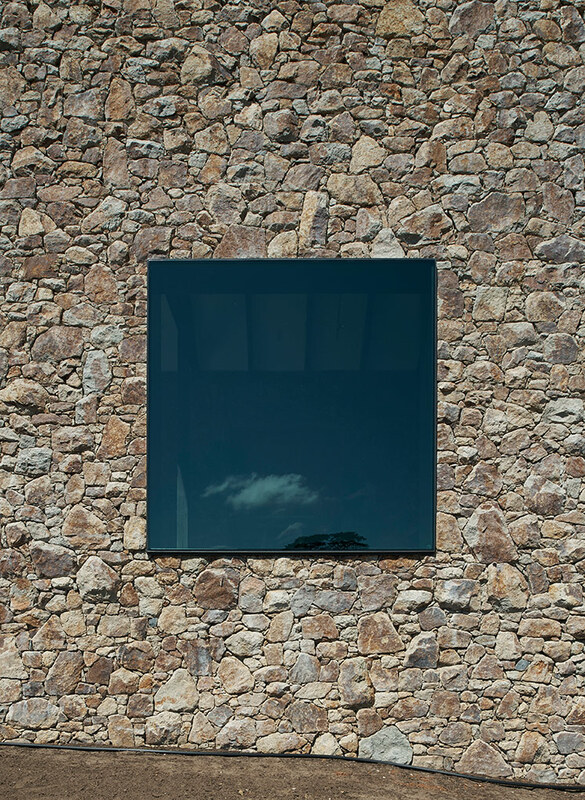 The 500mm thick stone walls encase a highly insulated structural frame containing all services. 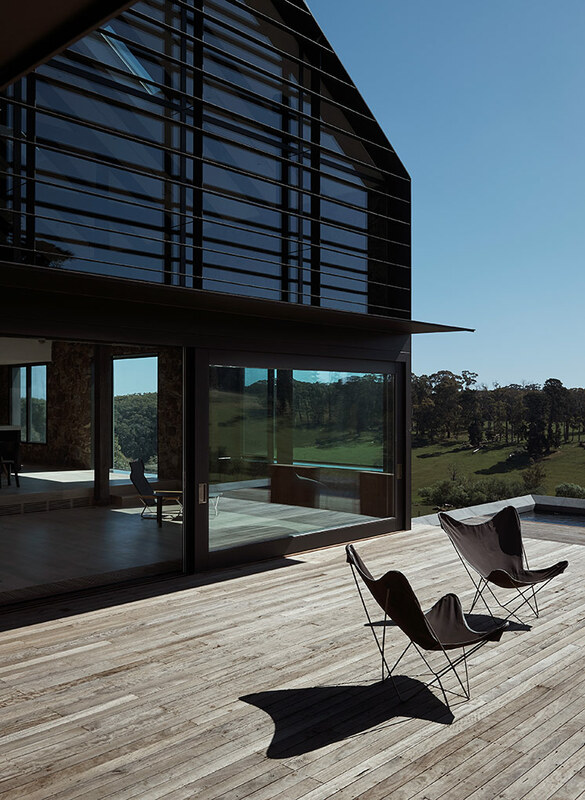 The house is virtually off-grid. 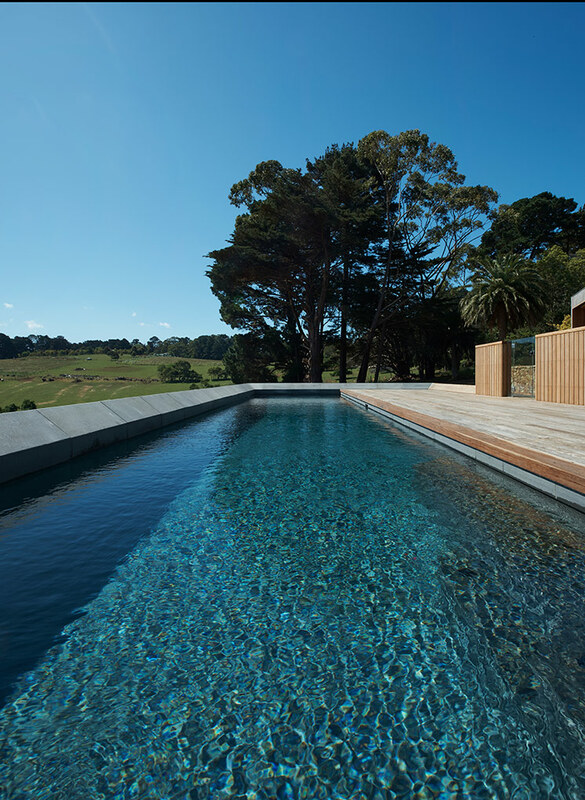 It is served by a 10kW ‘island’ photovoltaic system that powers the house and runs the hydronic heating system, with excess energy sent to heat the fully insulated lap pool. 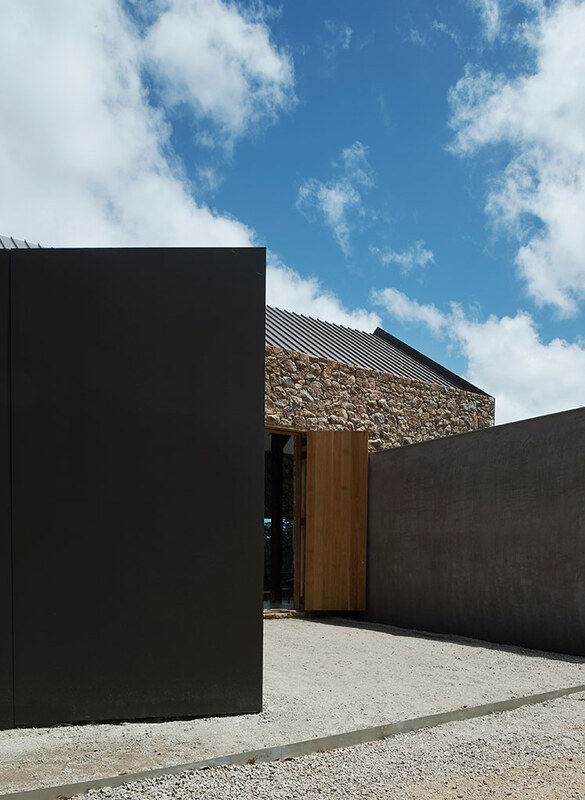 Water needs are met by150,000 litre rainwater storage tanks that filter and treat the water for domestic use. 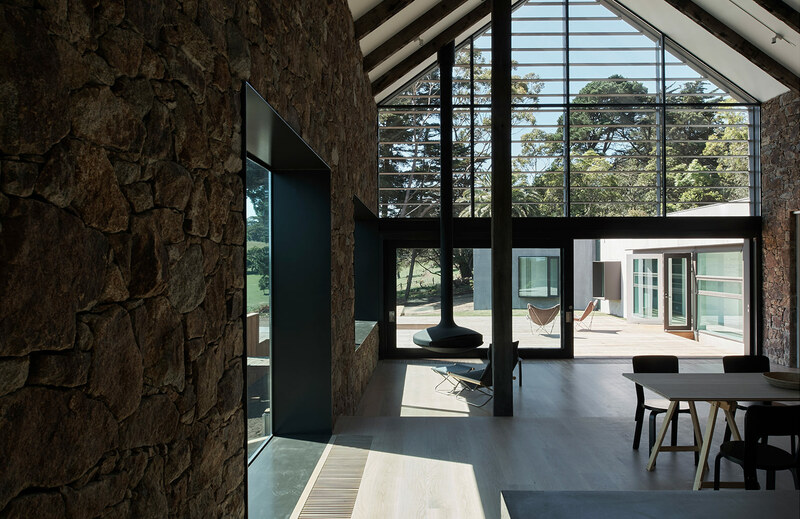 The full envelope of the house is double-insulated and double-glazed, with a ventilated roof space to negate heat-gain through the roof in summer.